Although there has been a rise in internet commerce for some time now, brick and mortar stores are still important to brands. Walking into a jewelry store and having a full view of diamonds and pearls is far greater than clicking through an Instagram boutique. In late 2015, Amazon left customers perplexed when they opened their first physical store. Customers still cherish being able to see products up-close and personal. Many consumers, however, will still be making purchases based on the advertising that they see on both traditional media and the web. For business owners, covering the costs of marketing your business and maintaining your inventory can be tough. Now more than ever, operating a jewelry business has become complex and more expensive. With the market for jewelry stores becoming more immersed, it is important for jewelry store owners to get the right funding to keep up with the changes in the industry. 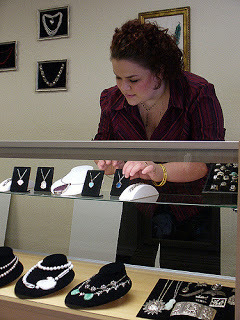 Your small jewelry business may have only been open for 5 years or it may be a family business, either way additional money for advertisements, merchandise, and other expenses can help keep your store afloat. If you need a loan for your jewelry store, Silver Rock Funding can help your business with several small business loan options. Regardless of your credit profile, you can get the small business loan that you need. Silver Rock Funding will take the time to learn more about your jewelry business to understand your needs. One popular option is the merchant cash advance, this funding option allows you to pay back your loan using your daily credit card receipts. Once you submit your completed application, you will be assigned a Funding Manager to assist you with the process.